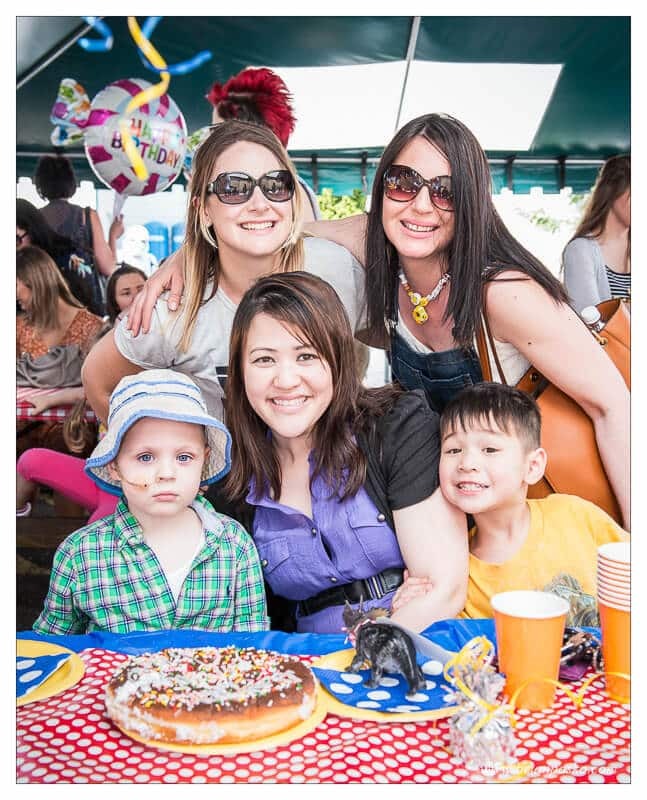 This past weekend I had the honor to witness and photograph a very generous community of people pour all of their love into a birthday party for a very brave four year-old boy who is battling cancer. (You can click on the images below to see larger versions). 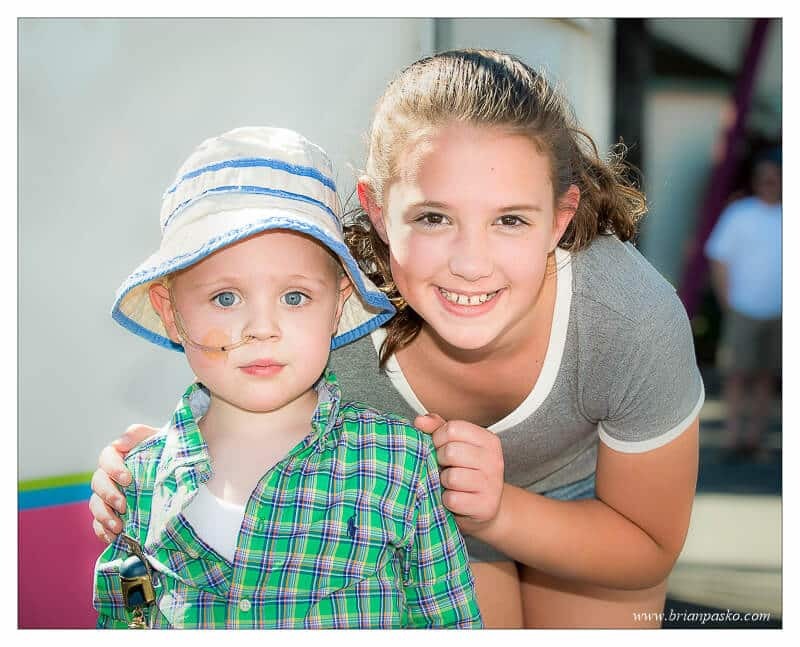 In 2014, Omar was diagnosed with neuroblastoma when he was just two years old. Moreover he loves dinosaurs and trains. 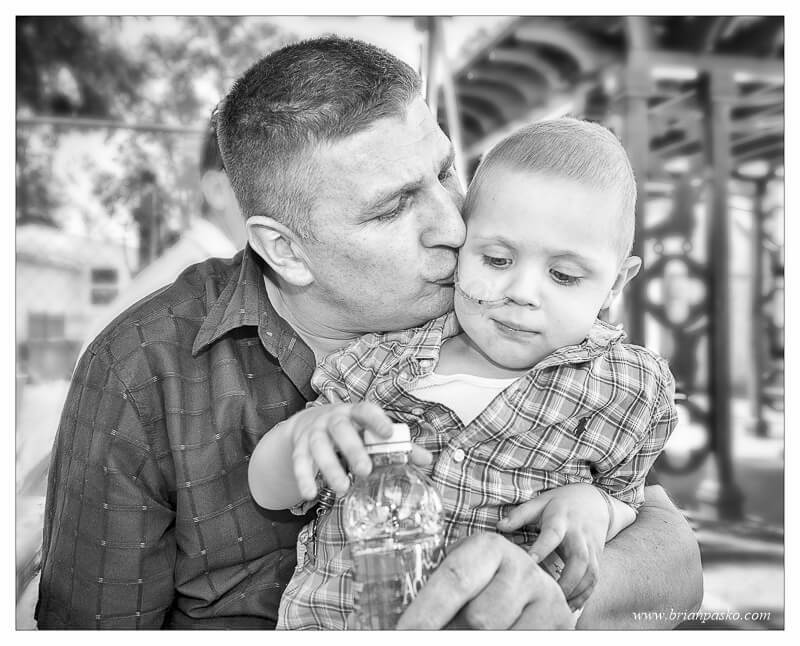 This courageous boy’s family is from Bosnia and he has an incredible spirit despite the fact that he has already endured chemotherapy, radiation and a bone marrow transplant. 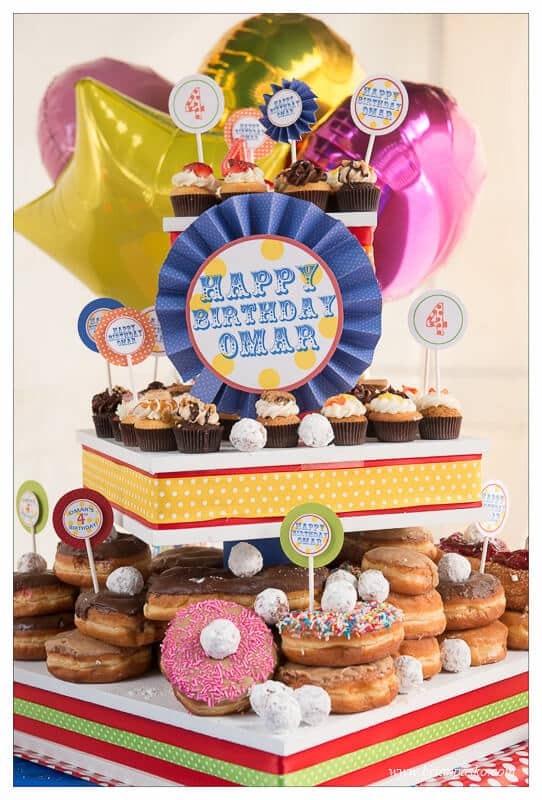 And so the folks at Z100 Portland, Pietro Pizza, Delicious Donuts, Oaks Amusement Park, Star Wars Oregon and a very caring neighbor joined together to make Omar’s fourth birthday something special. 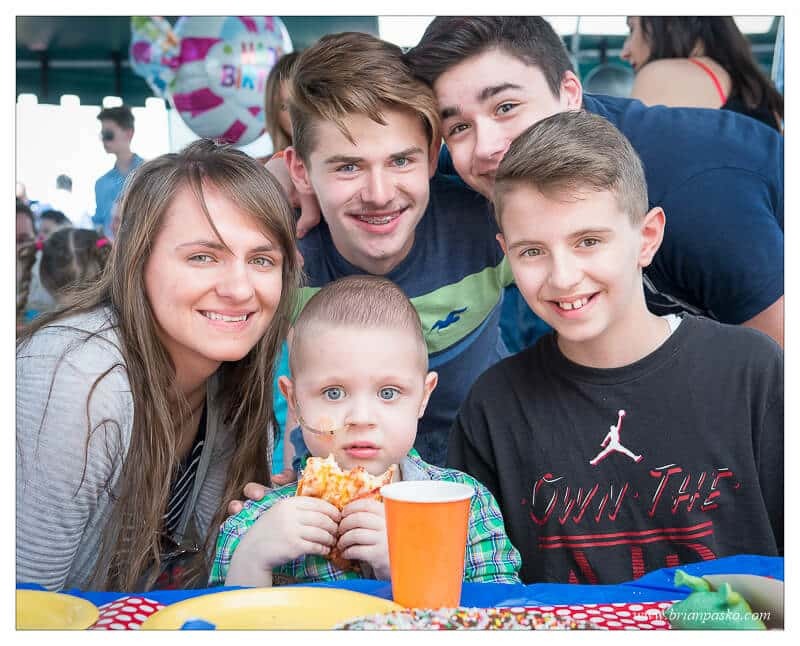 He celebrated with a large group of family and his closest friends, including other children who have had their own struggles with cancer. Omar had a tremendous time. He ate TONS of pizza! 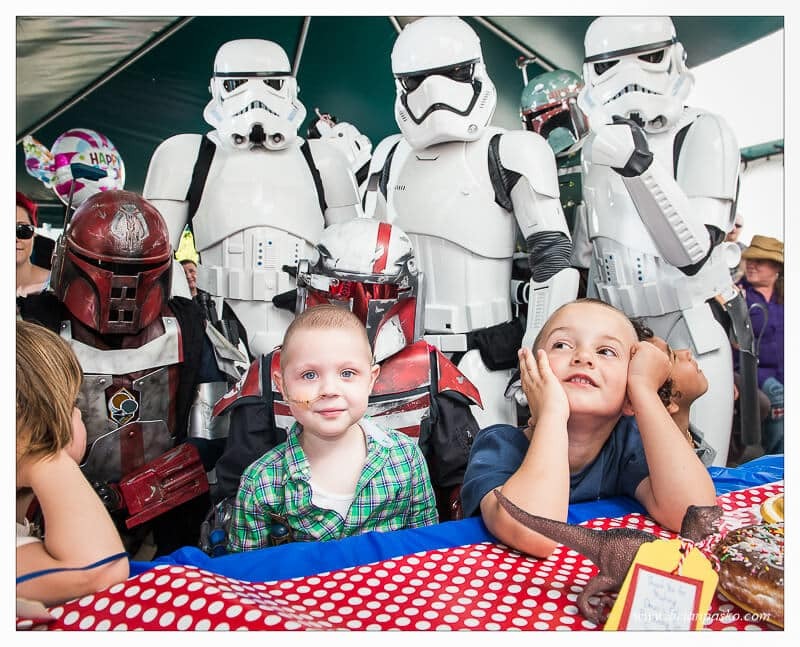 He was visited by a group of Storm Troopers and other star wars characters who gave him a medal for his bravery, which his mom proudly pinned to Omar’s chest. 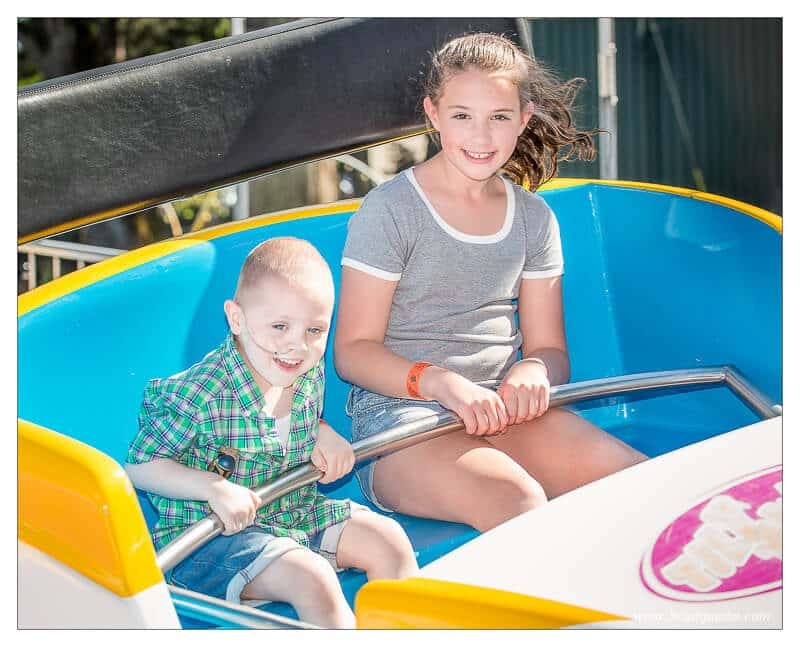 And Omar had an incredible time riding rides with his friends at the Oaks Amusement Park in Portland. A few weeks ago Omar’s family was told by his doctors that Omar only has about one month left to live. Omar, his mom and dad, and two brothers are very much in my thoughts today as I snuggle a bit closer to my young daughter.